Maria Montessori was brilliant in how she went about teaching children their numbers and counting. Her ability to break down tasks into smaller steps and concepts, in order to help children master all the necessary skills is astounding. Learning the Montessori Way is truly the best way! But for some, especially homeschooling parents who may not have professional Montessori training, navigating the sequence of lessons and materials can be daunting. 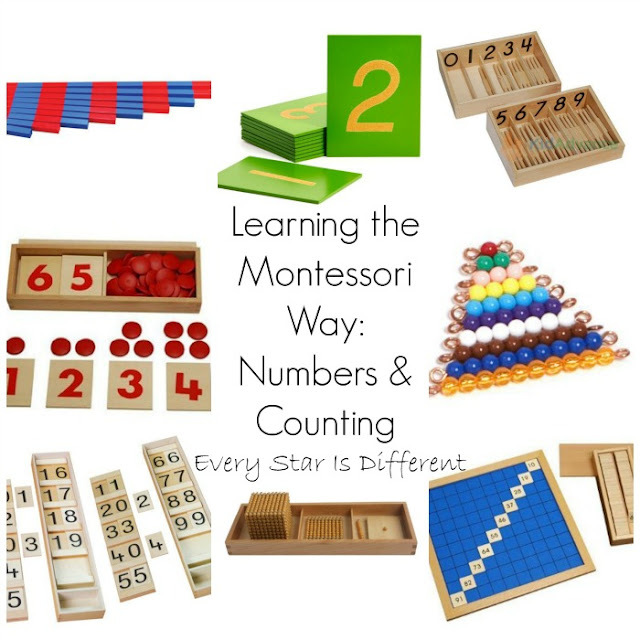 What you see here is a basic outline and explanation of learning numbers and counting the Montessori way. I share the order of materials introduced for the first time, but I do not give much information about variations etc. With each material I've provided a resource for the presentation and lesson. 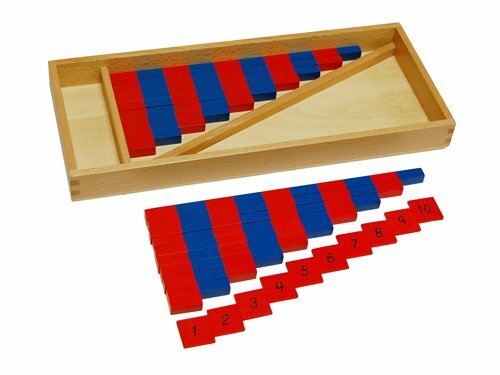 Technically the concept of quantity starts with Montessori sensorial materials, but for the purpose of this post, I'm focusing on Montessori math materials. Children begin their math journey using the Montessori Numerical Rods . The Montessori Primary Guide offers an explanation and break down of the presentation of the material and several different ways to use it. Notice how the rods are NOT numbered. Written numerals are not introduced at this stage of learning. 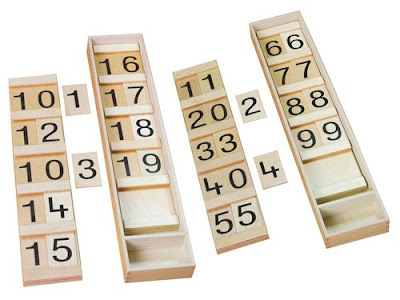 You will see how Montessori introduces written numerals, and then integrates them with the numerical rods later on. Each step in the process builds upon previously learned material. Once children have mastered the numerical rods, they move on to Montessori Sandpaper Numbers. It is at this point that children learn the signs that represent each of the numbers they have learned to count through quantity. Carrots Are Orange has a post with pictures demonstrating how the sandpaper numbers are presented, with some other fabulous ideas as well. After children can identify each of their numbers and count them, the Montessori Numerical Rods with number tiles are introduced. If using the small set, numbers are provided with it. When using the large set, the sandpaper numbers were great. Mama's Happy Hive provides pictures and descriptions of activities that can be done using the numerical rod with number tiles. Also included in the post is a basic overview of the sensorial materials that are introduced before children begin the process of learning counting and numbers along with some fabulous counting activity ideas. The Montessori Spindle Box With 45 Spindles is next in line. This activity is the first to introduce individual quantities while counting. Montessori Primary Guide provides a video and step by step instructions for the presentation and lesson of this work. Natural Beach Living shares a DIY option of this material, if you can't afford the real deal. 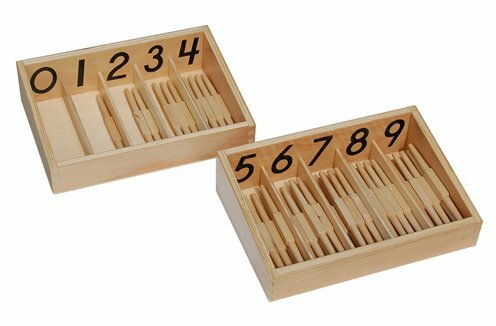 Montessori Cards & Counters follow the spindle boxes. Carrots are Orange shares pictures of the presentation and directions about the lesson and extensions. For a DIY version of the material with more information about the activity visit Planting Peas. Once the basic presentation and lesson have taken place with an understanding of what's expected, there are endless possibilities when it comes to creating thematic versions of this activity using all sorts of materials. 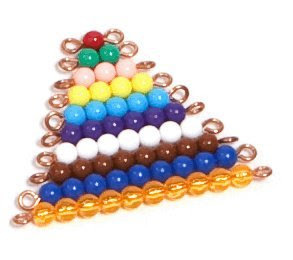 The introduction to the Coloured Bead Stair may just be my favorite part of teaching counting and numbers. Planting Peas shares how this material is used with resources. 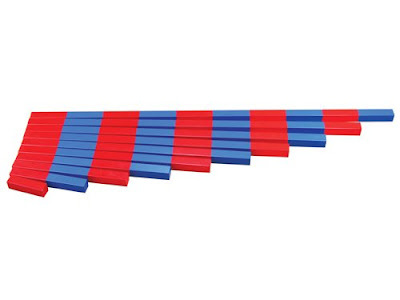 This is one of the most versatile materials that I have encountered for teaching numbers. Montessori Teens and Tens Boards are introduced next. The Montessori Primary Guide gives basic instructions on the material, presentation, and lesson for the Teens Board. For instructions on how to create a DIY version of the Teens Board, visit The Kavanaugh Report. Carrots Are Orange provides all the information you need to use the tens board, including pictures to help along the way. For more DIY ideas and instruction visit Living Montessori Now. 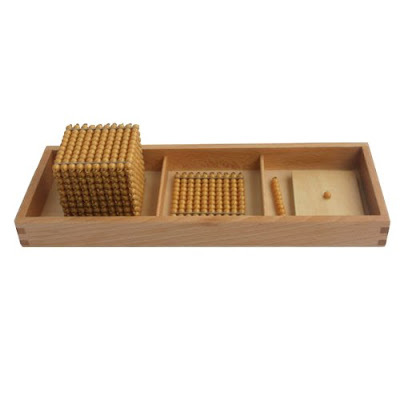 The Montessori Bead Bars for Teen Board with Box will be necessary to purchase to progress with work using the Teens Board. When using the Tens Board, you will want to be sure to have Montessori 45 Golden Bead Bars of Ten to complete the work. There is some flexibility in the Montessori Introduction to Decimal Quantity with Tray . Some teachers introduce it before the Teens and Tens Boards. Others introduce it after. There are some who introduce it at the same time. Choose whatever works for you. Once you do start working with the gold bead material, you progress to creating numbers all the way up to 9,999. The kiddos love this! You can find an explanation of the introduction to the decimal system at Carrots Are Orange. For further ideas and resources, visit Planting Peas. 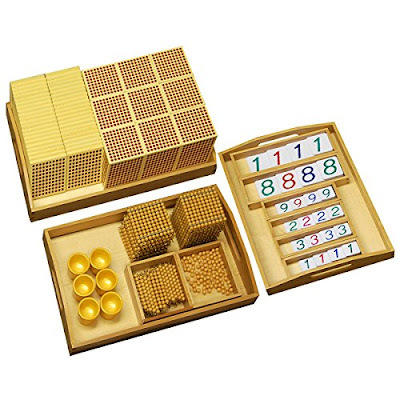 The Montessori Hundred Board is yet another material in the Montessori curriculum that teaches counting. Planting Peas provides a basic explanation of the work. Buggy and Buddy offers more ideas. 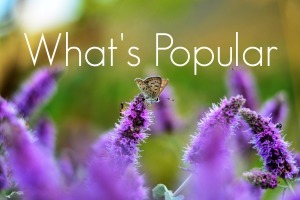 To further work with numbers, consider ideas at The Pinay Homeschooler. 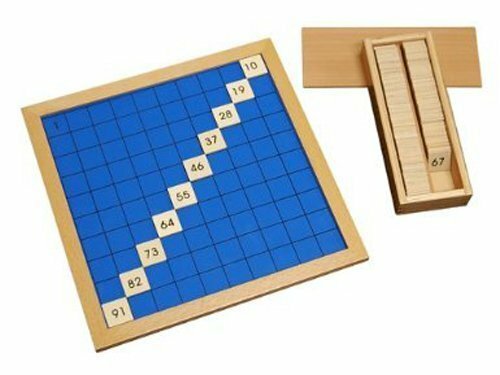 The Hundred Board is a perfect way to transition to skip counting etc. Materials shared today are those used to teach basic counting and number skills. Though introduced to teach these simple concepts, the materials can be used in several different ways as your child progresses through the math curriculum learning how to add, subtract, multiply, and divide, etc. 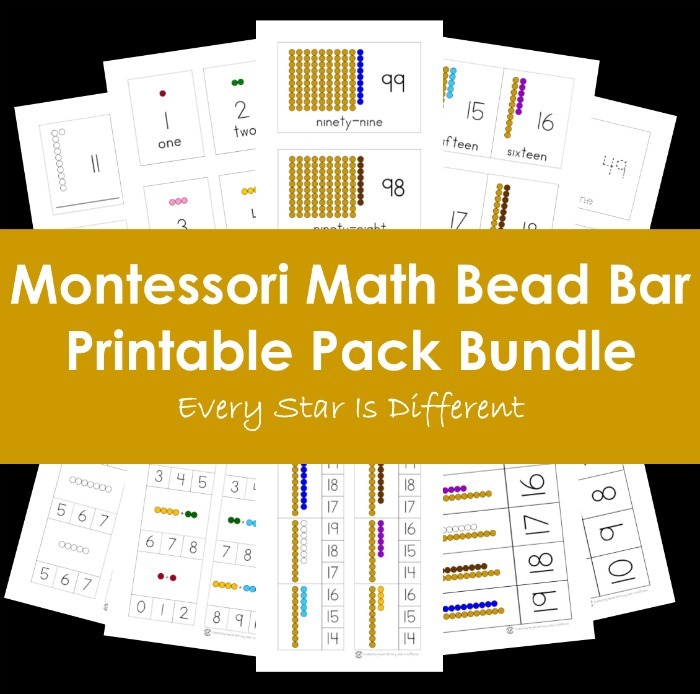 If you're considering teaching your children math using the Montessori method, these materials should be top priority on your list of items to purchase. They really do make that much of a difference. For those looking for more ideas and resources to help your children learn their numbers and counting be sure to check out the printables and posts below. What a wonderful resource :) Love it! Wonderful job! 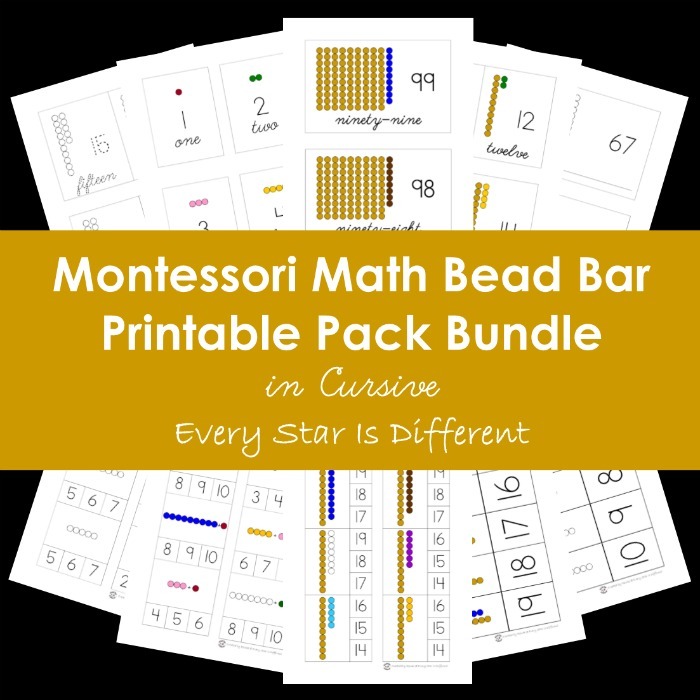 You and Sunshine will love the Montessori preschool math curriculum! THIS IS A FABULOUS INTRODUCTION AND OVERVIEW OF THE MONTESSORI MATH CURRICULUM - I THINK SOMETIMES IT CAN BE INTIMIDATING, OR SOME MATERIALS SEEM MORE ATTRACTIVE SO PARENTS ARE TEMPTED TO JUMP IN WITH AN ACTIVITY THAT'S A BIT FURTHER ALONG IN THE CURRICULUM. Can't choose what to begin with! Such a useful list! I love this introduction of math materials. Amazing job renae! This is helpful to see the progression of the Montessori math materials. Thank you for putting this together! Yes! 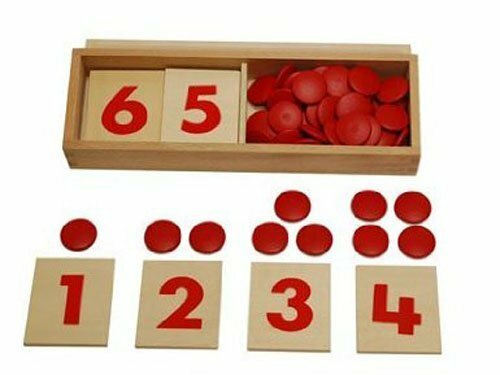 It is a fabulous introduction to the math scheme in Montessori. So clearly and eloquently described here. 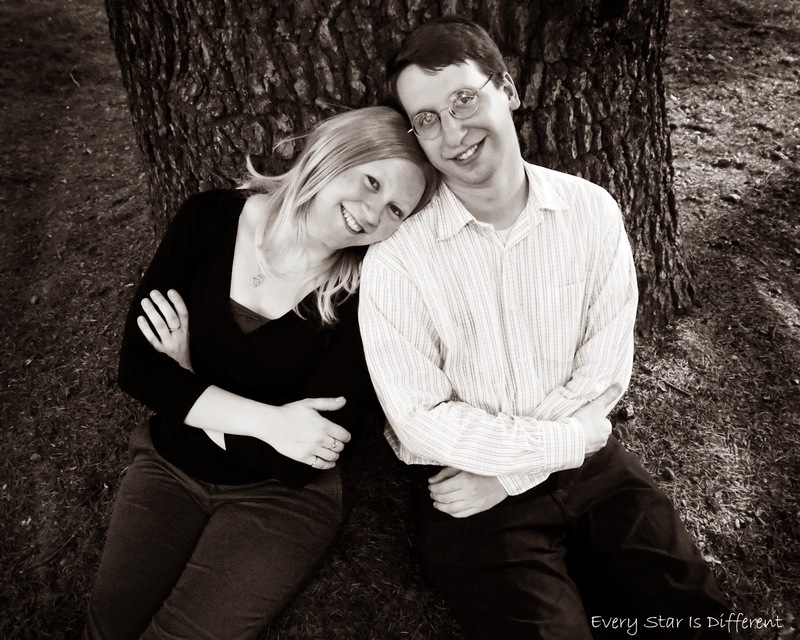 Wonderful post, Renae, and I always love hearing about your kiddos here and there in the post.